The turtle is said to have been just under ten feet long from nose to tail. 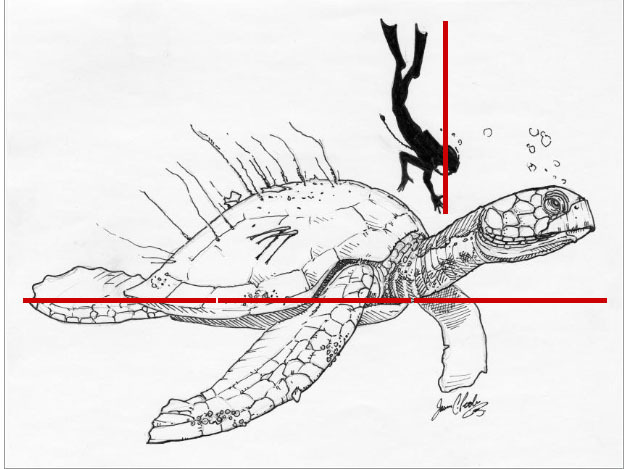 So unless the diver in the “artist’s rendition” is a little over three feet tall, the graphic is not to scale (see image below). Still, I’d have to say that ten feet makes for a truly large turtle! I wish I could see this humerus in person.